Hotels-New-Zealand is a group of independently owned and non-related hotels, motels and serviced apartments providing accommodation located across Palmerston North New Zealand. Hotels New Zealand allows you to deal directly with the hotels giving you the best possible rates for these Palmerston North hotels. Book your accommodation online directly with the hotels in Palmerston North and save !!! Located in the heart of the city the Fitzherbert Castle Motel offers offering spacious Palmerston North accommodation in a relaxing, picturesque setting. The Fitzherbert Castle Motel has studio apartments that are conveniently located within easy walking distance to the city centre, conference venues, the cafe and boutique quarter, The Plaza, Victoria Esplanade, Arena Manawatu, theatres and art galleries. The spacious, well-appointed, comfortable and airy studio units are set in tree-lined surrounds, serviced daily and include all the facilities to ensure comfortable Palmerston North accommodation. If you are considering a visit to this part of New Zealand then the Fitzherbert Castle Motel is the ideal place to stay in Palmerston North for business or pleasure. The Arena Lodge provides is situated in a quiet, secure location, close to the city centre and offers quality Palmerston North accommodation for all types of travellers. Positioned opposite the Arena Manawatu the Arena Lodge is a peaceful escape from the city and is ideal for guests looking for a spotlessly clean and comfortable place to stay close to the stadium. With friendly personalised service and luxury units that feature digital sky tv, broadband internet, spa baths and well appointed kitchens this Palmerston North accommodation caters for both long and short term stays. 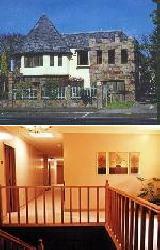 The Arena Lodge Hotel is also situated with easy walking distance to many restaurants and cafes. The Pioneer Motel offers travellers quiet and relaxing Palmerston North accommodation at discount rates. Within 2 kms of the Pioneer Motel is the Arena Manawatu, Awapuni Raceway, Manawatu Trotting Club, Convention Centre, city centre, museum, Lido aquatic centre, theatres and the showgrounds. This discount Palmerston North accommodation is built on ¾ of an acre with plenty of well-established trees, delightdul gardens and a large lawn with an in-ground trampoline, fenced off in-ground swimming pool and a private spa pool. The hotel units at the Pioneer Motel have a seperate bathroom, fridge, TV with SKY digital, electric blankets, heater, microwave, ironing facilities and telephone. The Accommodation Gateway Motel is situated on the Pioneer Highway, just minutes from the centre city and amenities of Palmerston North. This budget motel is a large ground floor complex that boasts spacious, well-equipped units. The Gateway Motel has a range of Palmerston North accommodation rooms available including studio, 1 and 2 bedroom family apartments that have been specifically designed to cater for everyone including individuals, couples, families and large group bookings. All units are equipped with microwaves, kitchen facilities and Sky TV. The hotel facilities at this Palmerston North accommodation include a children's playground, spa pool, BBQ area and several grassed areas where you can sit back and relax on the outdoor furniture. The Manfeild Park Motel has a comfortable relaxed atmosphere with a high standard of furnishings, ensuring that travellers to this Palmerston North accommodation enjoy their stay. Situated in a quiet location opposite the main gates of Manfeild Park Auto Raceway and close to Kowhai Park playground the Manfeild Park Motel in Feilding is perfect for both business and leisure guests. All of the accommodation units at the motel have a fully equipped kitchen, Sky TV, radio, phone and electric blankets. There is also a safe children's playground with swings, slide and trampoline nearby, spa pool, video games machine, free carpark, car washing facilities, guest laundry, and Barbecue facilities at the Manfeild Park Motel Feilding. The Supreme Accommodation Palmerston North is one of New Zealand's largest motel and apartment complexes. This Palmerston North accommodation has a range of 2 & 3 bedroom family units, 1 bedroom studio apartments, executive hotel rooms with provate outdoor hot tubs and even 2 to 5 bedroom group apartments. The resort style hotel facilities at the Supreme Accommodation in Palmerston North include an indoor heated swimming pool, internet access from all apartments, Sky TV, ample free car parking and double glazed windows for added peace and quiet. The Supreme Accommodation Palmerston North is only 1.2kms from the city centre and is also close to Arena Manawatu, Speedway, Trotting Club and the Palmerston North Racecourse.